Sign Up Now ... to start generating tons of new leads today! 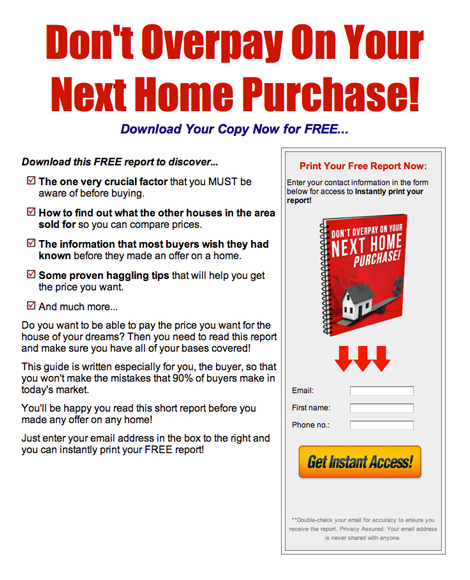 This report can be used to help any seller who is in a hurry and needs to sell their home FAST. 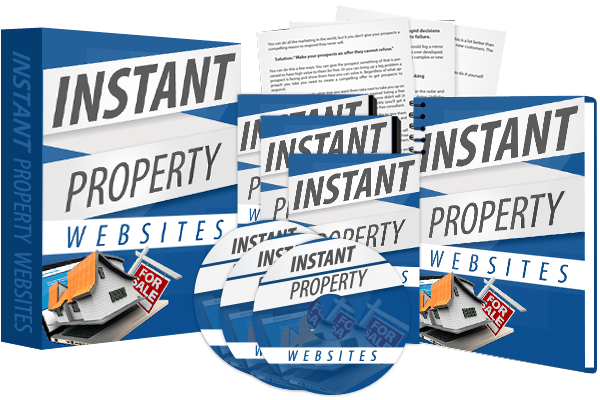 It's full of tips and tricks that every seller can do to expidite the process and ensure that they get the right buyer as fast as possible. How to get buyers literally fighting over their home. How to use Faebook to speed up the selling process. A great guide for any new or experienced buyer. It covers unforseen costs in buying a home, how to get a loan, what to do if they cannot put 20% down, and much more. All thye have to do is enter their email address and they will have instant access to this report. The unforseen costs in buying a home. What the banks will want to see before loaning money. What to do if the buyer can't put 20% on a home. All they have to do is enter their email address and they will have instant access to the report. The biggest mistake home sellers make. What sellers can do to sweeten the deal for buyers. Why buyers DO and DON'T whant to see when home shopping. This guide will show sellers with expired listings what they can do to get back on the market and to do it better the next time around. If you're trying to get an expired listing back on the market, this is the report to use. How expired listings can be re-listed so that you can sell your home fast. Why professional picture work better than amateur ones. Everything a realtor will do you sellers and more. 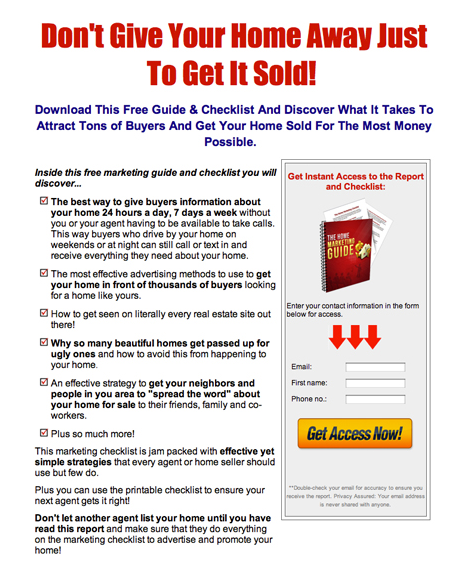 You'll get a home seller report and video to use as lead magnets when generating leads. Plus this content will help position YOU as a "real estate expert" rather than just another agent, encouraging sellers to be realistic about price before you even meet with them. Why sellers should avoid a "normal" home sale if they want to sell their home. 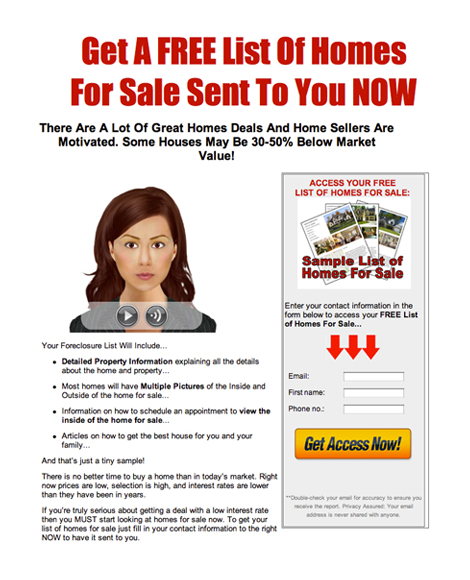 The best method for selling homes quickly for the most money possible. How to pre-qualify sellers to ensure they are truly motivated. Using the multiple listing service, sellers can get an estimate of their current home's market value. This gives them a way to avoid paying hundreds of dollars in appraisal fees. 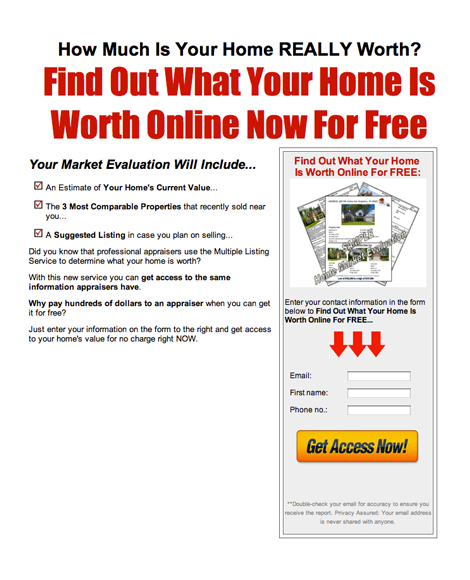 An estimate of the home seller's current property value. The three most comparable properties that recently sold near the seller. 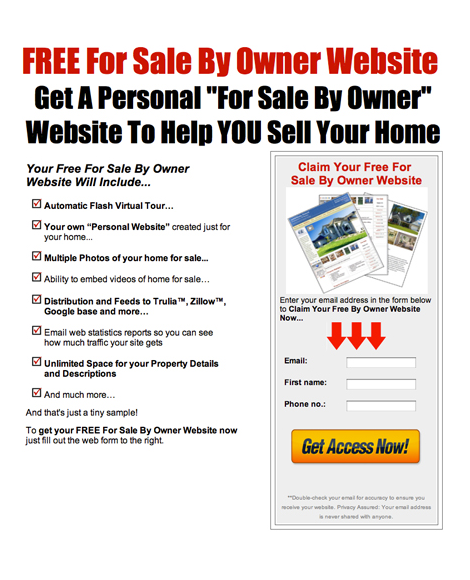 This free website is made especially for For Sale By Owner properties and even feeds to Trulia, Zillow and more. It includes unlimited space for property details, descriptions and multiple phots of the home. An automated virtual tour of the home. The ability to embed vidoes and upload multiple images. Unlimited space for property details. The report was made to give buyers an inside look at what happen in the real estate market. 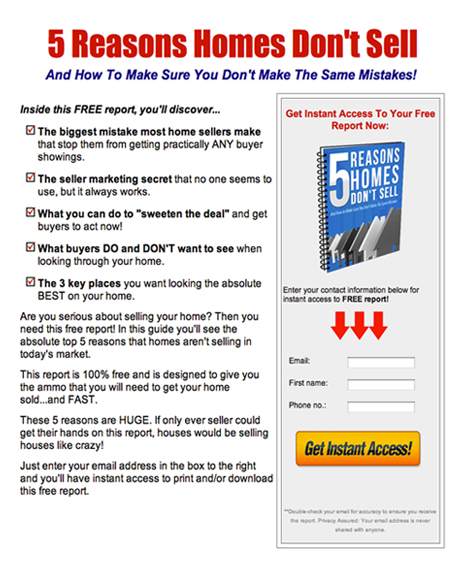 Gives buyers tips on how to avoid the mistakes 90% of home bueyrs make. A guide to find out what other area homes sold for. Info that most buyers whish they'd known before buying. Proven negotiation tips that will help the buyer out. Once you get the buyer lead, all you have to do is find a list of homes in the MLS that are REOs or Short Sales and send them to the buyer. 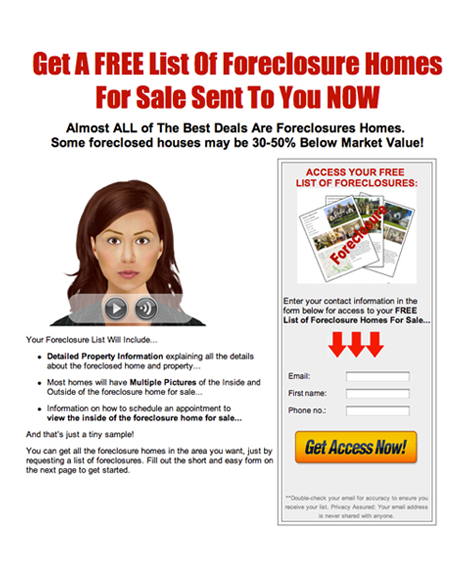 Then if none of the foreclosures interest the buyer you can start showing them other listings. 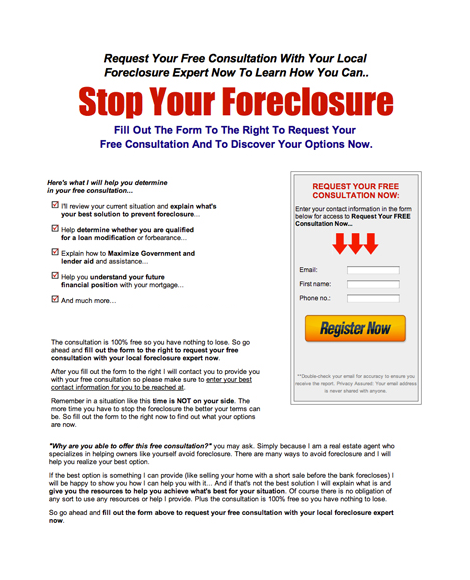 Detailed property information and details about the foreclosed home. Information on how to schedule an appointment to view the home. Listing information as it appears on the MLS. Once you get the buyer lead, all you have to do is find a list of homes in the MLS that are in the buyer's area and send them to the buyer. Then if none of the properties interest the buyer you can start showing them other listings. Detailed property information and details about the homes. Sellers who are "underwater" or "in the hole" pn their home loan can opt-in for a free phone consultation. You will immediately be sent their information so that you can follow up with them. The buyer's contact information including name, email and phone number. An opportunity it interact directly with the lead. An option to market the lead with other opportunities. You can review a seller's current situation and explain the best solution for them. You can also help them determine if they are qualified for a loan modification. We're Also Going To Provide All The Marketing Materials! You Didn't Think That We'd Leave You Stranded? These include handwritten letters, customized post cards, You Tube videos and more. The best part about this system is it has all been 100% done-for-you. Just download the material and GO! It's that easy. 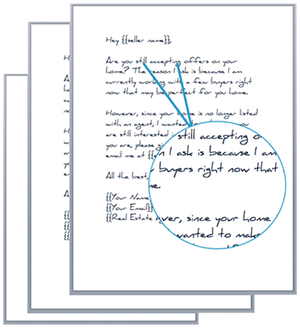 Letter templates that look like REAL hand-writing. Post cards that you can mail directly to buyers & sellers. You Tube videos that link back to your websites. And That's Not All...You'll Also Get Instant Access To All Of Our Best Real Estate Marketing Software! 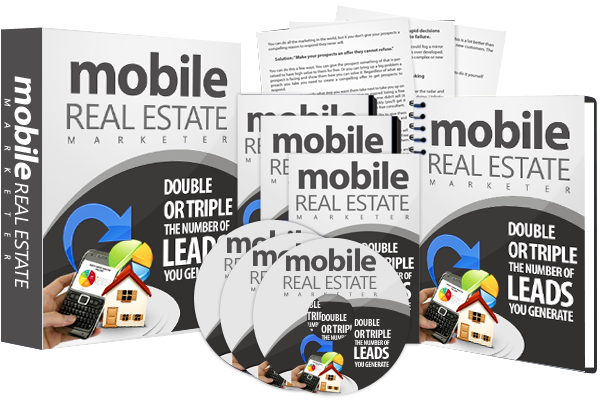 That's Not All...You'll Also Get Access To All Of Our Best Real Estate Marketing Software! Our mobile marketing software will help multiply the number of leads you generate exponentially by giving your prospects more ways to respond to your campaigns by getting in touch with you. Getting all your listings online has never been easier. Our software helps you create dynamic, SEO-friendly web sites with unlimited custom property address domains in just minutes. 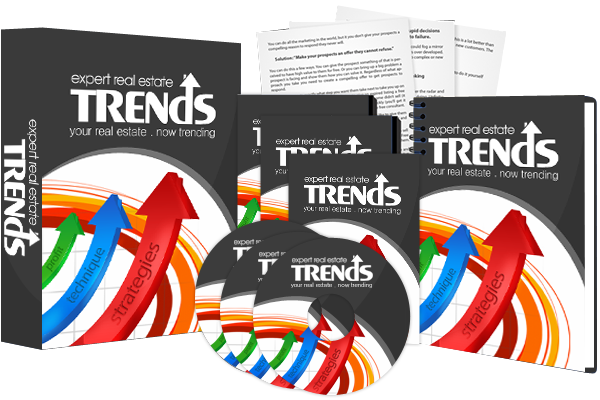 Get your own branded real estate trends website to help you look like an industry leading housing market expert. Then use your trends site to optimize your listing presentation's potential.